In all these examples, people, processes, organizational structures, data, software, and other resources are already in place and operating. Most definitions of operational excellence prescribe incremental enhancements and optimizations for individual, pre-existing resources; the assumption is that localized improvements have a global impact on broad processes. 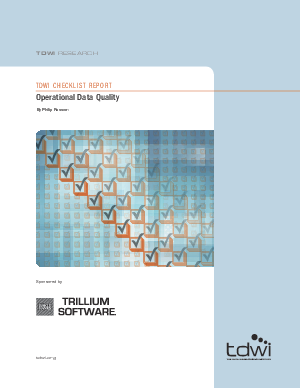 In that spirit, this report provides recommendations for improving the quality of operational data, which in turn contributes to an organization’s drive toward operational excellence.